Today's post is a delayed and surprise post (even to me!). I uploaded my Sleek Matte Me Swatch & Review video to my >YOU TUBE CHANNEL< a few weeks ago and had planned on writing up an accompanied post with up close images of the swatches. That was the plan..... until my laptop decided not to read the card I had taken the pictures on..... until today! So here it is! Better late than never! 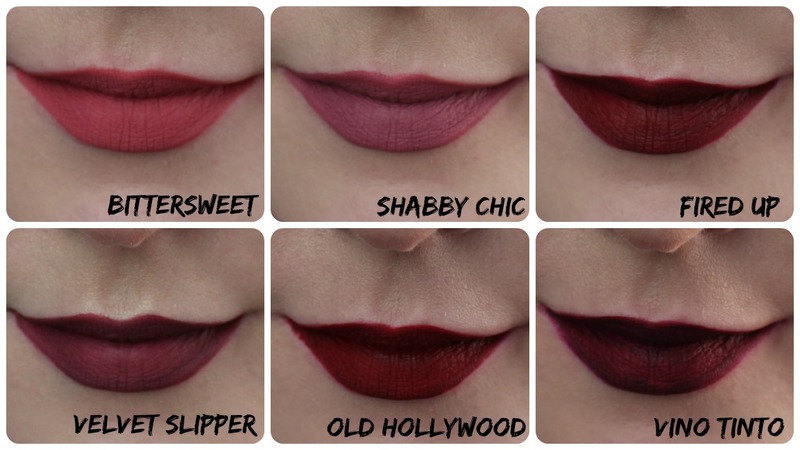 Sleek launched six new shades to their Matte Me range of liquid lipsticks - a range of pink, purple and reddish hues. The wand has changed slightly from it's older, longer shaped wand to this more precise doe foot applicator. 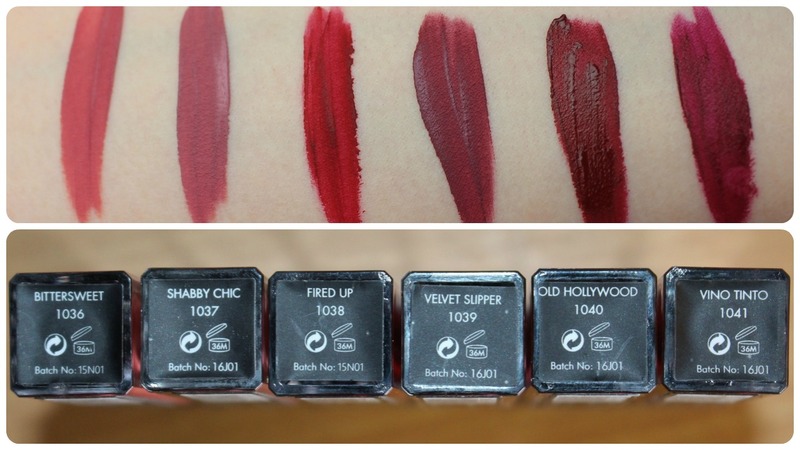 Above are swatches of all six new shades - Bittersweet, Shabby Chic, Fired Up, Velvet Slipper, Old Hollywood and Vino Tinto. Each shade is pigmented but the darker shades do need more coats for full opaqueness. 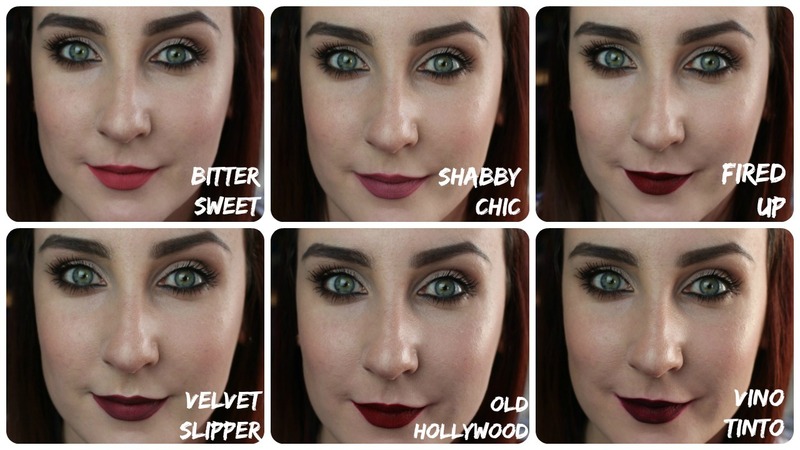 Which shade is your favourite! Watch my review and time test video below for more details!